Everyone has seen “Gangnam Style’s” wacky dance moves, frolicking girls, and strange costumes—if you haven’t, you might be the last person on earth—but underneath the low-budget-seeming window dressing is a tongue-in-cheek poke at the poseurs who aspire to live the wealthy lifestyle of the Gangnam district of Seoul. Celebrating the “Gangnam lifestyle” in a decidedly un-classy video, Psy is like the fleet-footed, musical equivalent of Rodney Dangerfield’s new-money character in Caddyshack, set to an insanely catchy melody.Like Psy, Kia Forte is Korean, and it, too, focuses on richer horizons, although the car’s mission is more forthright. Kia quality and competitiveness have been improving steadily, and the 2014 Forte is yet another step forward. Visually, the streamlined, sleek body demands a double take and continues the winning streak of Kia’s design department, which is headed by newly installed Hyundai Motor Group president . The car’s long-ish wheelbase begets nice proportions and a roomy rear seat. The EX is the topmost of two Forte trims. Besides bringing more standard equipment, it also includes a 2.0-liter, direct-injected four-cylinder engine with 173 horsepower and 154 lb-ft of torque. (Base LXs get a weaker 148-hp, 1.8-liter four with port fuel injection.) A six-speed automatic is standard here, but an option on the LX, where it supplants a six-speed manual. The zestier engine pulls well from low rpm and is mostly unobtrusive, however runs to redline return coarse noises. The transmission shifts smoothly, although the manual mode won’t challenge a dual-clutch gearbox for fun. 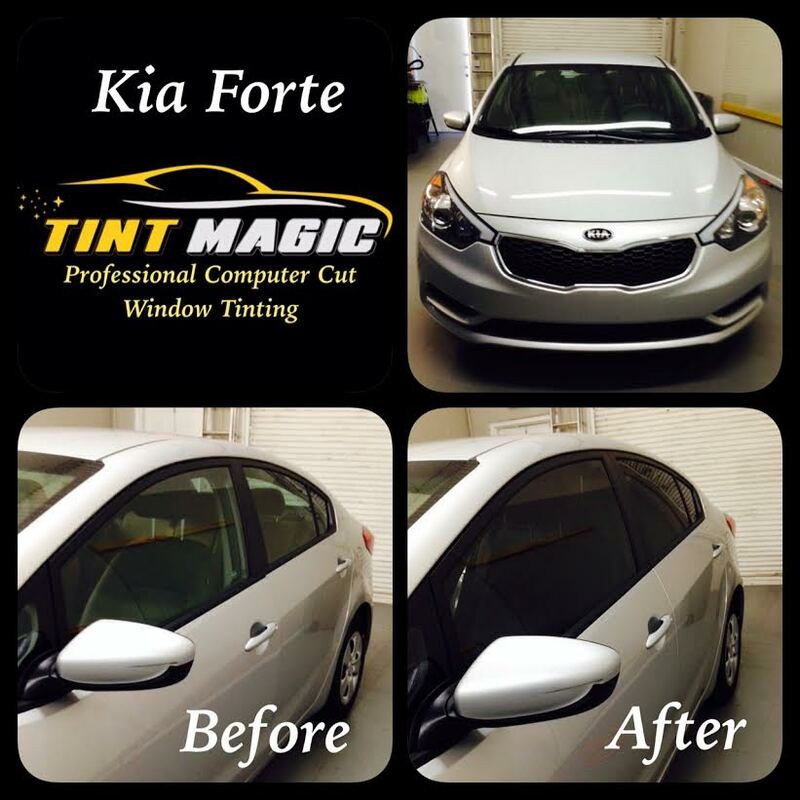 Kia Forte Window Tint at Tint Magic Window Tint Coral Springs, looks awesome! Before and after pictures.